Imagine a garden that requires almost no maintenance! PST Lawns TRU Grass artificial landscaping grass has endless outdoor uses and is also ideal for corporate use and heavy traffic areas. It gives a natural lawn appearance without the time consuming maintenance. TRU Grass is a very popular general purpose artificial grass and can be used for gardens, balconies, play areas, corporate and retail areas as well as indoor office spaces. 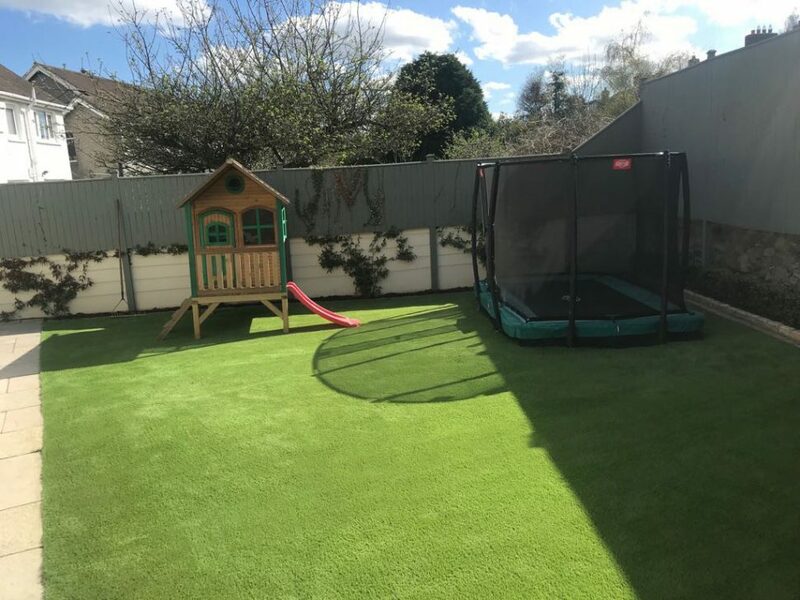 This extremely versatile and resilient artificial grass is incredibly hard wearing with a 28mm thickness giving a trim and tidy lawn that will stand up to all activities. Click here to view the spec sheet for our TRU Grass artificial grass. Our TRU Grass artificial grass costs €25 per m2 (including VAT) for grass only. Artificial grass plus installation will vary depending on the individual project and the type of surface the artificial grass is being installed on. Get in touch today – CONTACT US or LoCall: 1890 917 006.